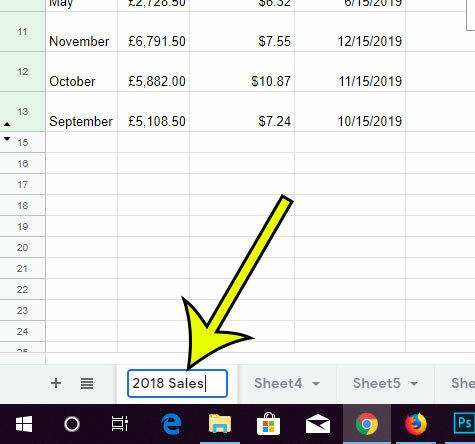 Google Sheets, much like Microsoft Excel, lets you add new worksheets to your file. This makes it easy for you to organize all of your relevant data in one file so that you aren’t constantly switching between multiple files. 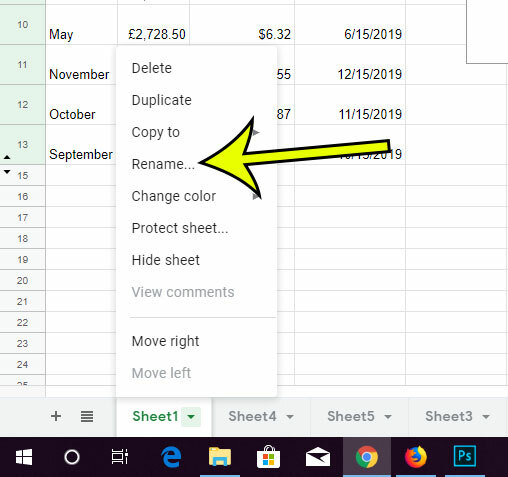 You may already be familiar with how to change the name of your file in Google Sheets, but that won’t do anything to make it easier to navigate the various worksheet tabs within the file. Fortunately you can change the names of your worksheet tabs, too. The steps in this article were performed in the desktop version of the Google Chrome Web browser. 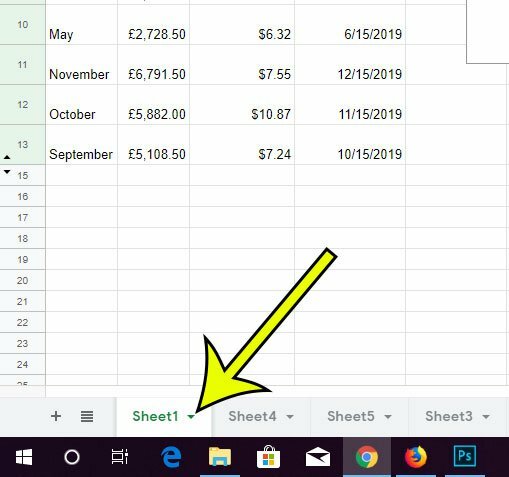 By completing the steps in this guide you will be changing the name of one of the individual worksheet tabs in your file. Note that if you have any formulas that involve cells on that worksheet tab, those formulas will update automatically to accommodate the name change. Step 1: Sign into your Google Drive at https://drive.google.com and open the Sheets file containing the tab you want to rename. Step 2: Locate the worksheet tab at the bottom of the window. Step 3: Click the arrow to the right of the current worksheet tab name, then choose the Rename option. Step 4: Type the new name for the tab, then press Enter on your keyboard. Do you need to share your file with someone else that doesn’t have Google Sheets? Find out how to save the file as a PDF so that it can be sent and viewed by anyone with a program that can open PDF files. Why is Outlook.com Combining Messages from a Conversation?